I have now visited thirty one of fifty states! Neither Dan nor I had been to Texas before this weekend (we don't count airport layovers). Nineteen more to go! My college roommate Katherine and her fiancé Dave got married Saturday in Tyler, Texas. We arrived late into Dallas since our flight was delayed over two hours, but this talented young string quartet (who happened to be on our same flight) entertained us during the wait in the terminal. After landing, we drove from Dallas to Tyler, which is about a two hour trip even if you're too scared to match the 75 mph (??!?) speed limit on a two lane road with no divider. None of the highways in my home state even go that fast! Dan also spotted a guy on a horse wearing a cowboy hat. Welcome to Texas! Saturday morning, we met up with some of my other college friends to check out the famous Tyler Rose Garden. Since it's only March, the garden wasn't fully in bloom yet, but the perfectly clear skies and 70 degree temperatures more than made up for the lack of flowers. Plus, lots of mockingbirds serenaded us while we wandered through the grounds. If you want a desktop background version of the camellia blossom or the flowering tree, just right click on the links below and choose "save link as" to download to your computer. On the way back from the garden, Dan and I stopped by the Goodman-LeGrande House and Museum to check out a little flower and artisan fair. Then we met everyone back at the hotel for a quick barbecue lunch before the wedding. Since both the bride and groom went to Notre Dame, there were lots of Irish fans present. After dinner, a crowd formed around a couple of iPads to watch ND almost upset the #1 ranked UK men's basketball team. So close! 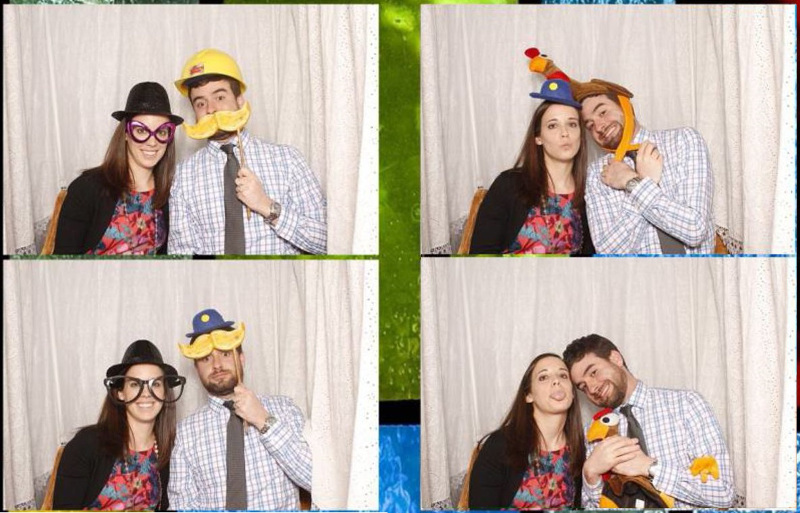 Dan and I had fun taking silly pictures in the photo booth. Sunday, we went back to the Cathedral for Palm Sunday mass before driving to Dallas to catch our flight. We were delayed again, but guess who was waiting at our gate... the same string quartet from our flight on Friday! We enjoyed another impromptu concert... A good end to a fun weekend.